Decided to do a separate short post for my day out! Had a movie date with my babes today, but before that, me and Ashley decided to munch something @Komugi Cafe, Pavilion. A Japanese concept cafe, also one of my fav place to have coffee in Pavilion..besides than Starbucks. This time we decided to try some of their food. I tried once long time ago before they changed their menu. Food wasn't that good back then but today I tried their sandwich, it was pretty good! Scramble eggs & shrimp croissant for me. After that, we watched "Unbeatable" and all I can say about this movie is DROLLLLLL. 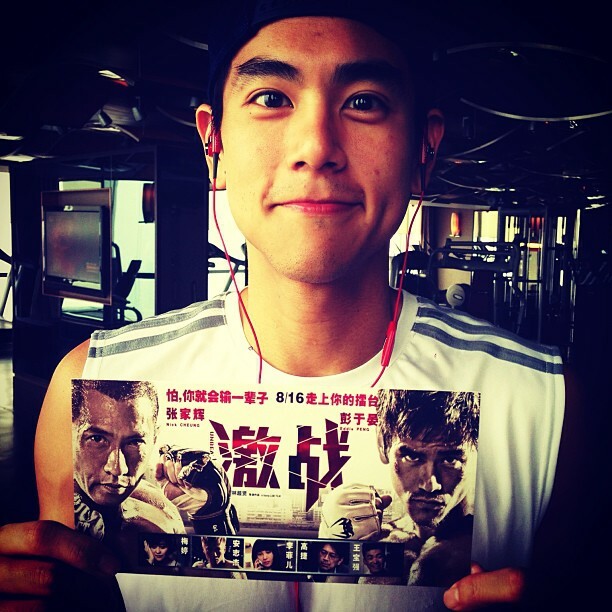 I don't really check out guys, but Eddie Peng 彭于晏 is too hot to be true. Of course, I have to praise Nick Cheung's new body... it's just......... *jaw drop* ! Couldn't imagine all the pain he goes through building the body. Also, proud of Crystal Lee who acted in Unbeatable, she's so young and talented, definitely going to be a super star when she grow up. Go watch Unbeatable if you haven!! !